Angry does not even come close!! It is 4.22 on Monday morning and I am awake. I have slept fitfully all night because of my disturbed mind and have officially given up trying to rest. Whenever I work with a coaching client who is experiencing disturbed sleep one of the strategies I discuss with them is to write down what is going on and get it out of their head. This normally creates some space for their mind to relax more. This morning I am taking my own advice. Last night I was at my girlfriend’s place having dinner. 60 Minutes, an Australian current affair show, came on the television and there was a particular segment on the live trade export industry. It was about the horrific conditions on board the giant livestock carrier, Assawi Express, which is loaded in my fair city of Perth. Australia has for many years been exporting live sheep to the Middle East. For some reason this has been the preferred way to sell the meat – maybe it’s how the buyers want it over there, maybe it’s about maintaining the quality of the meat instead of transporting it already butchered – I don’t know. As I watched the 13 minute segment, I was overcome with rage and then a sadness so deep that all I could do was cry. As the tears rolled down my cheeks, I felt so embarrassed and ashamed to be a part of a species that condones the treatment of another sentient being this way. How on earth is this possible from a country like ours? How on earth can people be okay knowing that these animals are suffering the worst possible death in such appalling conditions? The footage last night was nothing short of horrific: animals packed into these ships of death without the ability to move freely. They are packed so tightly that some of them struggle to access the food and water that is provided. A week into the voyage, the sheep are standing in ankle deep excrement which is covering the cargo hold floor. The regulation states that pregnant sheep are not to be loaded but this is ignored. Often the young lambs are crushed to death being so small and they are then just thrown overboard. Their chance of survival (and let’s be honest, death in these conditions is most probably a gift) is so low for these young little beings. The look in these animals’ eyes says it all. It was the same look that was in the eyes of the prisoners in the concentration camps of Nazi Germany who were on their way to death. It’s a look of fear; it’s a look of panic; it’s a look that once I had seen it, I could not shake from my mind. It is hopelessness in huge, stomach-wrenching quantities! The most devastating thing about these ships is they are HOT. After several weeks of sailing the boat arrives in the sweltering conditions of the Persian Gulf where the cargo hold temperatures rise to life-threatening heights. The sheep are effectively boiling to death in the cargo holds of these ships! On one voyage when the weather in the Gulf was particularly hot, the Assawi Express ship records confirmed more than 880 sheep died in one day from heat stress. That’s one death every two minutes. The next day, 517 more sheep died. This “death zone” heatwave continued for five days. The footage of these poor beings panting for air and slowly boiling to death is the horrendous image that has kept me awake throughout the night and continues to trouble me. In Australia, it is unlawful to leave your dog in a car in hot temperatures that could harm them. I have been in carparks and observed Rangers smashing windows to free pets that have carelessly been left in a vehicle. I have then heard people heckling the owner when they return about what a terrible, cruel person they are. Now, I don’t necessarily think that they are terrible people: thoughtless – yes, and not very smart – yes, but I am sure they love their animal. Yet people are so very quick to stand up and judge. Well, judge this! The live export industry needs to be judged! The Australian people in support of the Australian farming community need to step up and demand that our animals no longer get treated this way. I can only imagine how distressed our farmers are knowing that this is how their livestock are being treated. The man who got the story out is a trainee navigator, Faisal Ullah. He was so disturbed at the conditions these animals were being transported in that he secretly filmed footage on his mobile to expose what is happening. 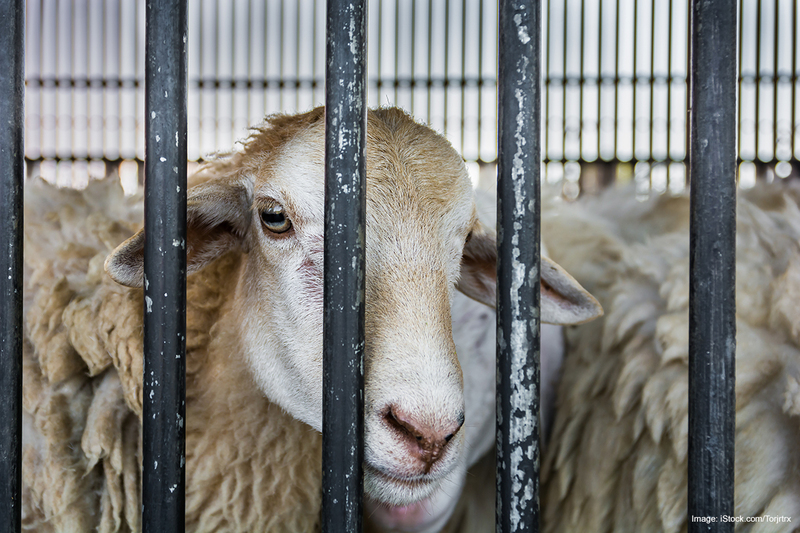 He talked about his heartbreak at being a part of this horror, and knew that if people understood the conditions we allowed these animals to be transported in there would be public outcry. The man at the top of this tree, Graham Daws (the boss of Perth-based Emanuel Exports which owns the Assawi Express) did not, of course, want to face the music about the cruel conditions he is profiting from. Instead he directed the reporter to Simon Westaway, who is the chief executive of the Australian Live Exporters Council. Simon Westaway argued Australia has the best live export standards worldwide. Now I was officially ropable!! Angry!! Outraged!! Horrified!! And so deeply, deeply saddened that yet again profit is coming before humanity. Have we truly not evolved from the days of slavery and vivisection? If these are the best standards in the world, how are other animals being treated elsewhere??? More importantly: what can we do for them? Until we realise that every sentient being is of equal value, companies will continue to harm and abuse animals. I believe that my worth as a human being is no more or less than that of my pet dog or a sheep on a cargo ship. It is 2018 and even though the consciousness of the planet is definitely improving, we need it to do so with way more urgency. The way that happens is we take a stand, we no longer sit idly by and say “Oh that’s terrible, what a shame for those poor animals”. We talk about it, we write about it and we use our consumer dollar to send a message to companies to treat their animals humanely or they will not be supported. If you feel as deeply saddened as I do, please take some form of action around this. Here is an RSPCA link if you would like to join the thousands of others petitioning our politicians to make change to this industry. Alternatively, Stop Live Exports regularly organises protests in support of stopping this practise and has tons of great information on their website.